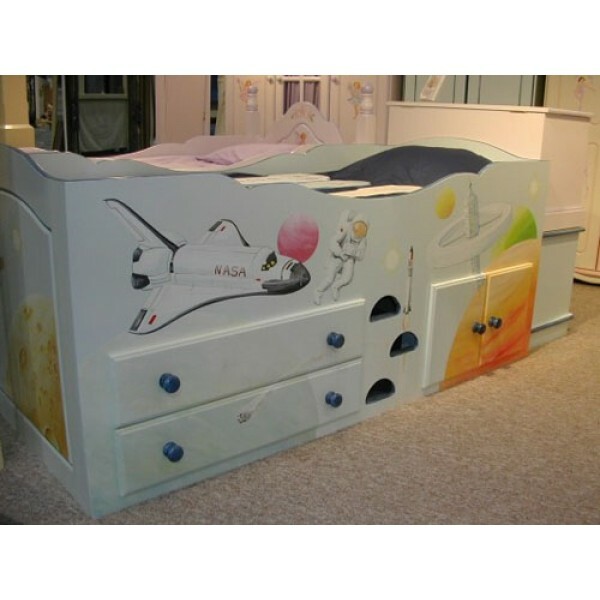 3' Boys cabin bed with hand painted space artwork. Bed shown is blue with oxford blue trim colour. Choose your own standard Chartley base colour and we can add ANY trim colour! Choice of handpainted artwork designs, view our 'Artwork' section on the website. Price exc.mattress.